Program management plays a significant role in ensuring that all projects meet operational, cost, budget, and time-related goals. In a complex business renovation scenario, effective program management can help control and manage cross-dependencies across multiple project implementations. Our consultants, experienced in multiple product implementations, work as program managers for reputable financial and IT service providers around the country. Through these efforts, our practice has built a rich repository of the program-tracking methods, scenarios, and risks inherent within various product implementation projects. 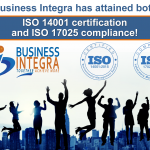 Business Integra (BI) brings a depth of experience, industry knowledge and flexibility in implementing Business Process Management (BPM) as an “added value” service to our clients in promoting innovation and continuous process improvement combined with our commitment to integrating industry best practices. 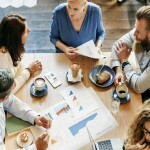 Our focus is on executing a technically sound solution involving a “holistic management” approach to tailor and align business processes to our client’s specific standards, methodologies and requirements-to promote effectiveness, efficiency while exploiting continuous process improvement, innovation, agility, integration with technology. Business Integra prides itself on being a thought leader in the enterprise architecture arena having provided vital support to major architecture initiatives for high profile clients to include several federal agencies. Since enterprise and solution architecture solutions come in a variety of approaches, our company has modeled our IT architecture offerings around the current needs of the industry. We also make a commitment to each and every current and future client of ours that we will be sure to keep our architecture solutions in alignment with the evolving trends associated with this broad discipline. Business Integra provides excellent and efficient Business Intelligence (BI) solutions to meet increasing demand in a competitive market. Solutions include the development of Data Warehouse architectures and dashboards that have you knowing more about the critical factors of your business, sooner – allowing for a quicker and more informed decision making process. Identifying and hiring the right people can be a challenging and time-consuming process, but finding the right talent is an imperative aspect to successful business. Business Integra can help. As a company specialized in information technology, we have a thorough understanding of what requirements and skills to recruit and assess in a potential candidate. Our on-boarding services will help place the right, qualified professionals into your organization. Professional and consistent visual communication has become an expectation in today’s age of technology-driven business. It is an essential element in creating effective marketing, branding, and presentations. Our consultants can help your organization exceed market expectation and achieve a competitive advantage through their E-creative and tactical approach to design. Business Integra can help you create meaningful conversation with customers.